Why is Ubuntu the #1 OS for Containers? 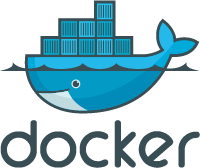 From Docker to Kubernetes, the experts choose Ubuntu for container operations. The single most important driver of quality, security and performance is the kernel version, and Canonical ensures that Ubuntu always has the very latest kernels with the latest security capabilities. That’s why the world’s biggest cloud operators and the world’s most sophisticated IT operations have chosen Ubuntu for containers.